Our team has 25-plus years of experience in putting together Alaska fishing packages and helping families enjoy all that Alaska has to offer. 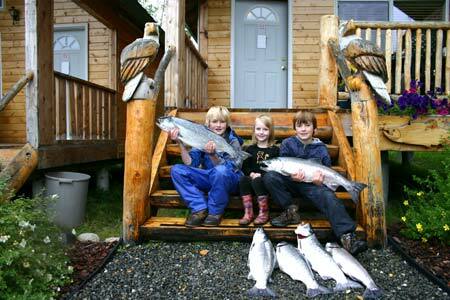 Our Alaska Fishing and Lodging staff can help you design an adventure sure to put a smile on your family’s faces. Our team can help you select activities as far north as Denali National Park or down to Lake Clark in the south; you choose the vacation that best fits your wishes and budget. We’ve put together a list of the most requested packages below – these keep people coming back year after year. If you see a package that fits your vision of the perfect vacation, you are welcome to book it through us. Like to pick and choose? Craft a package that best fits your vacation needs and we’ll price it out for you. YOU determine what the “Alaskan experience” means to you. We offer discounts for active duty and retired military members prior; please contact us for details. We wouldn’t be here without your hard work and dedication, so let us show our gratitude with packages built especially for our highly respected national heroes. We thank you. Alaska Fishing and Lodging is our name and that is our specialty. 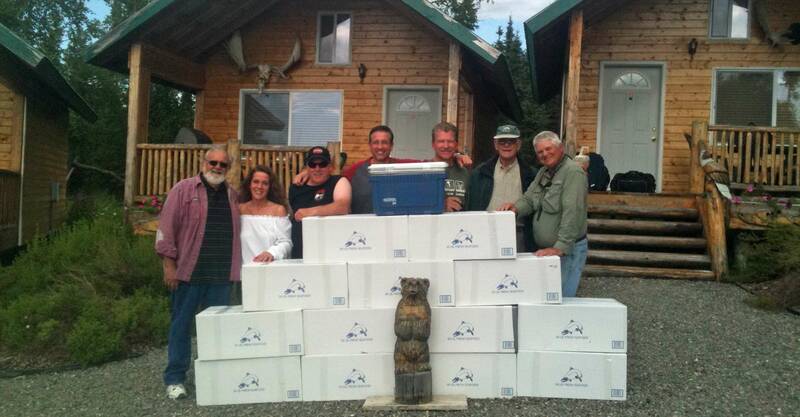 We will work with you to put together the perfect Alaska fishing package that fits your time frame and budget. Gold Prospecting on Active Claim – You Keep The Gold! While we specialize in putting together affordable Alaska fishing vacation packages, we do also offer day trips for Kenai River salmon fishing, Kenai River rainbow trout fishing, Halibut and saltwater fishing. If you only have a single day to fish give us a call and we will do our best to fit you into one of our charters. Call today and lets talk Alaska fishing and lodging options!